View a sampling of flexible nib fountain pens and learn the difference between vintage and modern models. John will include a demonstration of the line widths that are possible with a flex nib. Discover the basics of this classic organization technique and create a sample page in a notebook to take home. Bring your favorite markers and other stationery/scrapbooking supplies, or borrow from the workshop’s lending library. 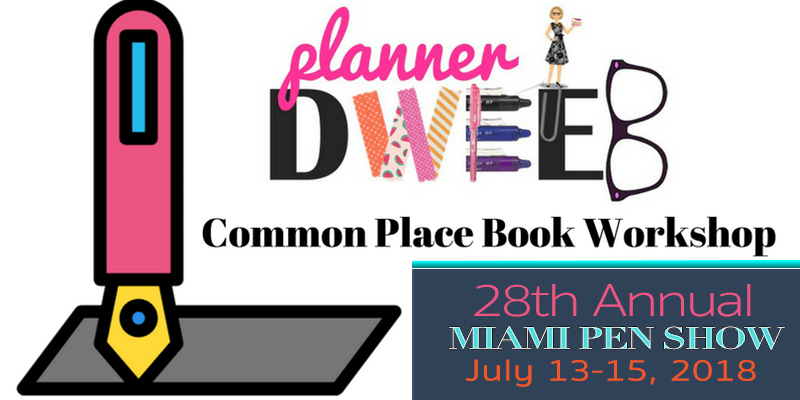 The plannerDWEEB is conducting a one-time amazing workshop at the Miami Pen show. The main goal of the workshop is to share the basics of an old and true method of brain dumping called the commonplace book but with the instructor’s creative and fun flair. 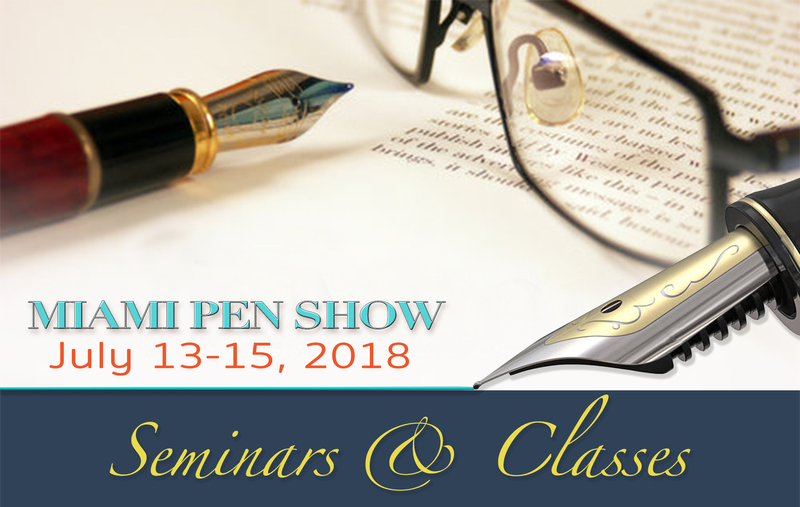 The intended audience of this workshop are the attendees of the Miami Pen Show who are already fans of writing with a pen. The format of this workshop is instructor-led with examples given to show the use of a commonplace book. It will involve one hands-on-activity for the participant to create one sample page. One Leuchttrum dotted medium hardcover notebook, handout, glue sticks, paper clips, washi tapes, ephemera, kraft pockets, scissors, crayola markers, cardstocks, staplers, and post-its. Your favorite pens, highlighters and/or favorite stationary and/or scrapbooking supplies. Tabby Rivera. Founder of the plannerDWEEB group! Tabby is a Project Manager for a Danish Lighting Company, a Time Management Coach, a Personal Organizer and an Event Coordinator. She has also an artsy side and creative flair that you just do not expect from someone who is so system driven. Her passion for helping others get organized in a way that feels both natural and self-expressive has prompted her to create a social media presence, Facebook group, events and workshops to share ideas of how one can live an organized life that is full of color, fun, and self-expression. Learn the ancient skill of folding paper to create hearts, boxes and other objects. All ages welcome to attend! Materials provided. When you practice origami, you are activating your whole brain. Fine ‘motor skills’ of both hands. Activation of the Right and Left hemispheres of the brain. Joy, satisfaction, and pride in your own work! Italian, born in Milan. Former test pilot. 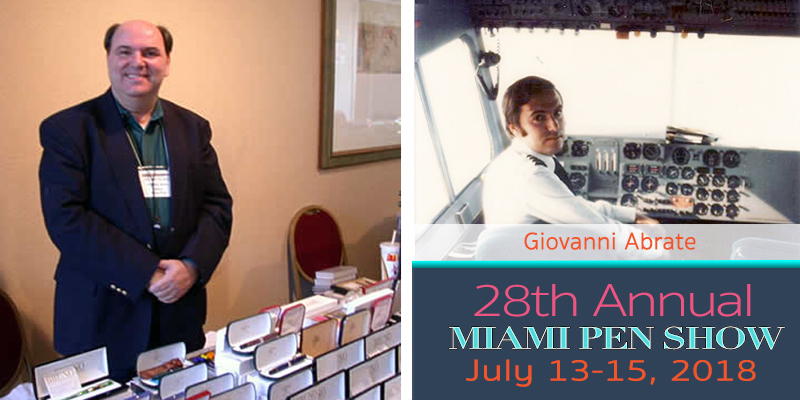 Giovanni Abrate has traveled extensively through Europe and the world. I have led multinational teams. I have lectured all over the world and I speak four languages fluently. I have been a Florida resident for over 25 years. I have two sons who live in Australia and a young daughter who lives with me. If you like Italian culture, its history, literature, films, architecture, fashion, and cuisine, you’ll enjoy interacting with Giovanni Abrate and benefit from his extensive insight and wealth of experience on building a great fountain pen collection. 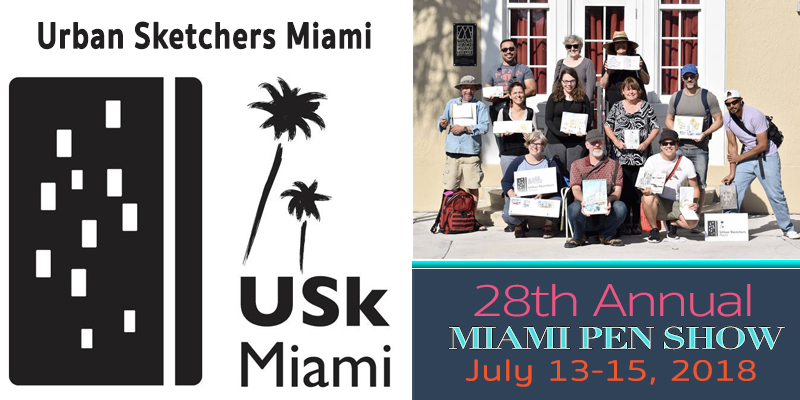 This hands-on workshop includes a short presentation on Urban Sketchers’ mission, plus tips and tricks on how to share your artwork on social media. After the presentation, attendees will go exploring together to find vignettes to sketch, then return to the classroom to share their work with others and post it online. Urban Sketchers is a network of artists around the world who draw the cities where they live and travel to. Urban Sketchers Miami is a Regional Chapter of Urban Sketchers. 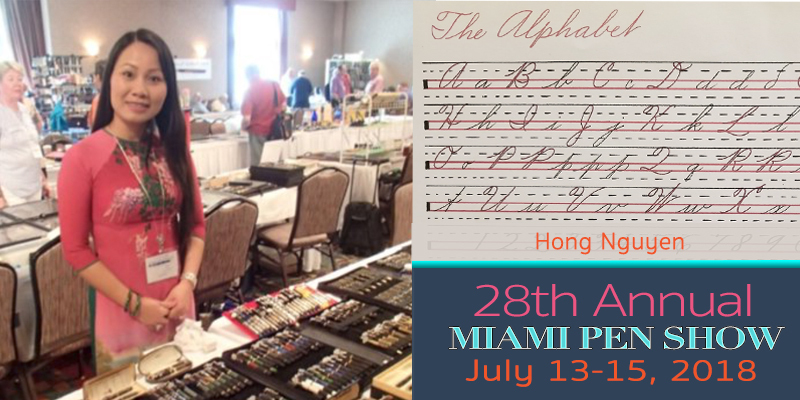 Improve your cursive in this workshop with certified handwriting instructor Hong Nguyen. 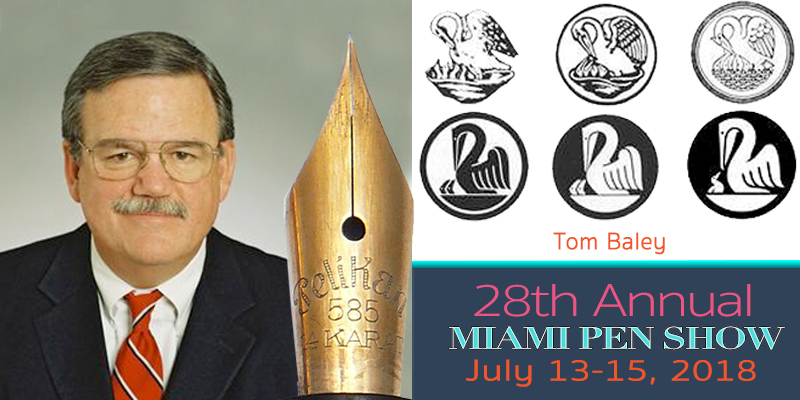 This free seminar by renowned Pelikan expert Tom Baley covering the pen company’s vibrant history as well as bringing several hundred pens to illustrate the talking points. Tom Baley has been collecting pens since the late ’60s and specializes in Pelikans, demonstrators, and glass nib fountain pens.